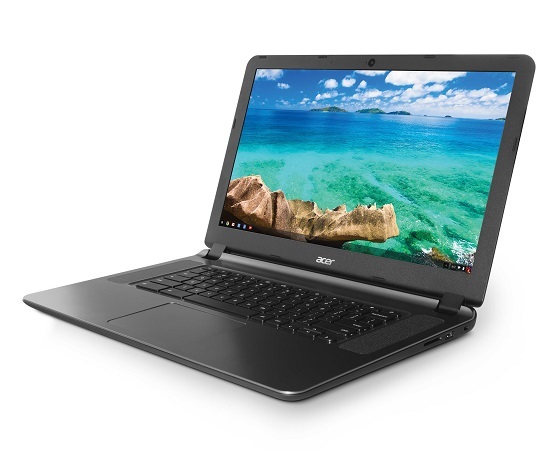 Priced at US$199, the Acer CB3-531 is a Chromebook at offers a 15.6″ display and offers up to 1.5 hours of battery life. The LED-backlit TFT LCD display features 1366×768 HD resolution and uses Acer’s ComfyView anti-glare technology, and the Chromebook itself is powered by an Intel Celeron N2830 dual-core processor with Intel HD graphics and 16GM eMMC storage and 2GB RAM. 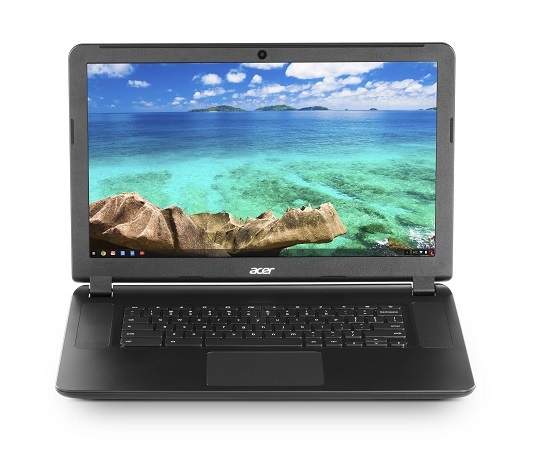 The Acer Chromebook 15 C910 takes the Chromebook concept to another level by offering models with either Intel Core i3 or i5 processor, as well as two Celeron-based offerings, backed Intel HD or Indel HD5500 graphics. Standard on each model is 4GB of SDRAM and both 16GB and 32GB SSD storage options are available. Core i-models start at US$449. The display is 15.6″ Full HD. 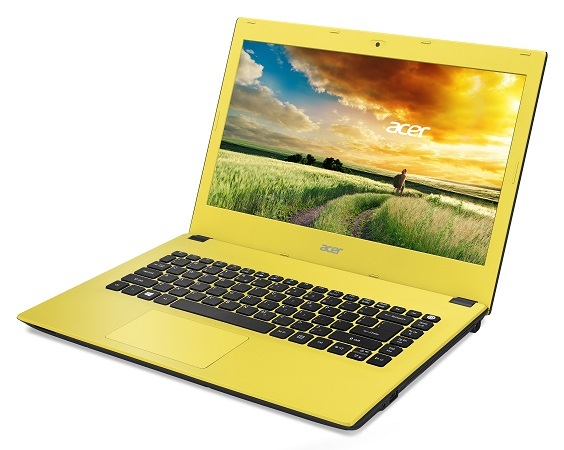 Acer’s new Aspire E Series notebooks come in a variety of colours with 14″, 16.6″ and 17.3″ display options. A new textile pattern on the cover and underside was made using a new manufacturing process that involved the 3D scanning of fabric samples that are replicated into moulds and finished with laser engraving. Inside is the latest Intel procesors, Nvidia or AMD graphics and up to 16GB of RAM and 2TB of storage. 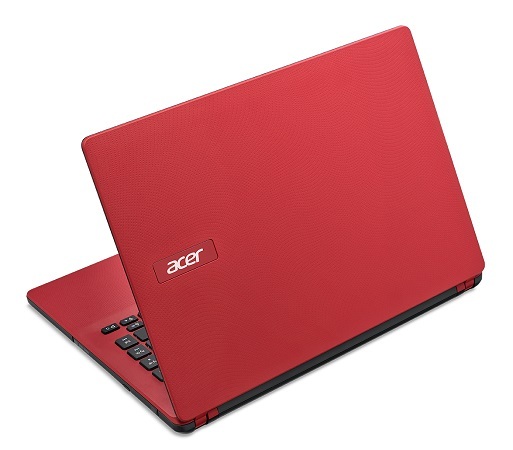 The Acer V 15 features an aluminum top cover imprinted with Acer’s nano-imprint technology for a textured metallic finish. 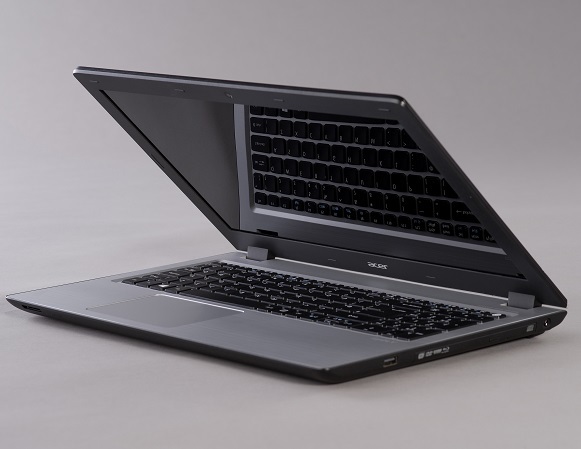 It boasts a backlit keyboard and is powered by 5th generation Intel Core processors and Nvidia GeForce 940M graphics. It comes with up to 16GB RAM and either a 2TB hard drive or 1TB solid state hybrid drive, as well as Dolby Digital Plus sound and a DCD-RW drive with M-Disc support. Acer’s ES series includes five models ranging from 11.6″ to 17.6″ displays with a number of colours to choose from. Designed for affordability for laptop users with a need to use their devices for both work and play, both Intel Pentium and Celeron models are available with up top 8GB RAM and 1 TB hard drive — a DVD-RW drive is optional. Pricing starts at US$229 for the 11″ model. 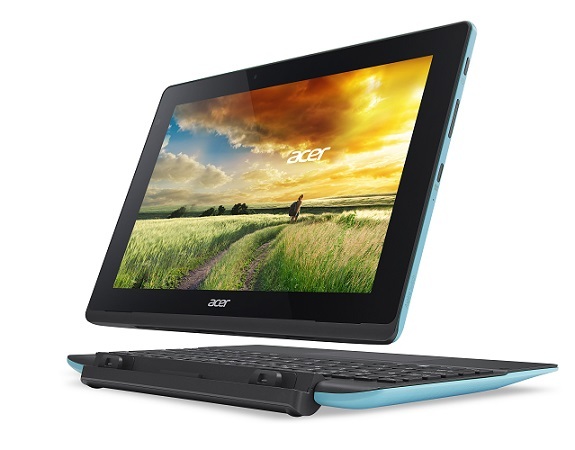 Acer describes its R 11 as a compact convertible notebook. It features an 11.6″ display with a 360-degree hinge to convert between four modes, and boasts up to eight hours of battery life. The HD touch screen uses Zero Air Gap technology and Corning Gorilla Glass. It’s powered by an Intel Pentium processor and Intel HD Graphics, with up to 8GB RAM and a 1 1TB hard drive. Pricing starts at US$249. 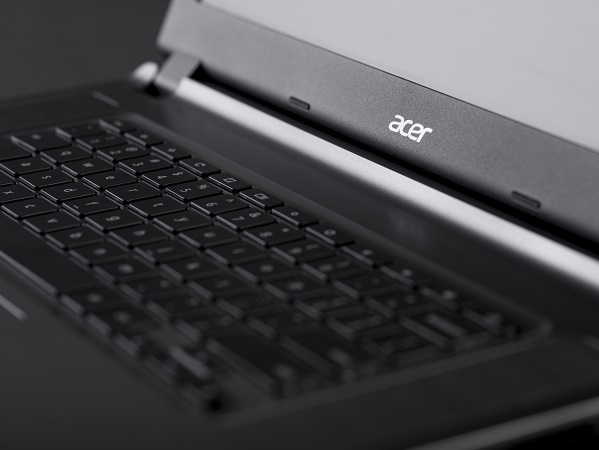 Acer’s Switch 10 E uses a new Acer Snap Hinge that boasts a guiding plane design for smoother switching between modes, and a low centre of gravity for more comfortable typing. The 30Wh battery offers up to 12 hours of battery life, and the HD 1280×800 resolution display supports 10-finger multitouch. It’s powered by an Intel Atom quad core processor and 2GB RAM, and is priced starting at US$279. 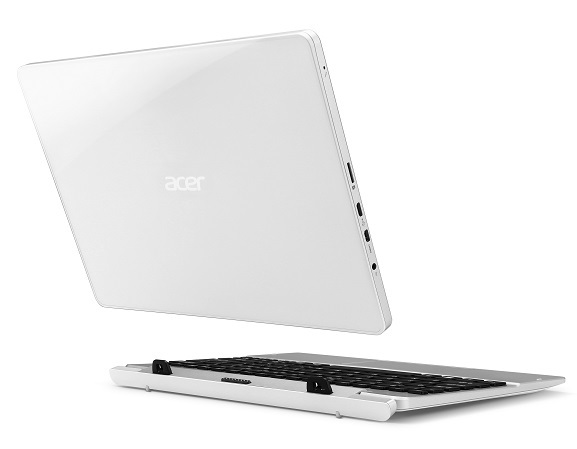 The Switch 10 convertible from Acer features a Full HD 1920×1200 display with a white Gorilla Glass 3 back cover, paired with a silver gray keyboard dock. An optional Acer Active Pen is also available, and the Switch 10 supports passive and active pen input without requiring a digitizer. A 22Whr battery provides up to seven hours of video playback, and it’s powered by an Intel Atom quad core processor and 2GB RAM. Pricing starts at US$399. The Iconia One 8 tablet uses Acer Precision Plus technology for a more accurate touch and writing experience, and the 8″ HD display features 1280×800 resolution with Zero Air Gap and IPS technology. It features an Intel Atom quad core processor and 16GB or 32GB of internal storage and runs Android 5.0 Lolipop. Weighing in at 355 grams, it’s priced starting at US$149. 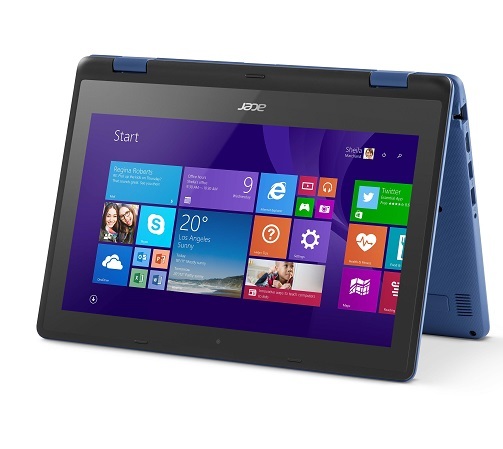 Acer’s Iconia Tab 10 is targeted at the education market, and features a durable design with a 10″ Full HD Gorilla Glass 4 display with Acer Precision Plus for an improved touch interface. It has integrated NFC setup and sharing capabilities so teachers can set up a classroom of tablets by just tapping them together. The Tab 10 boasts up to 7.5 hours of battery life to make it through the school day, and is powered by an Intel quad core processor with 2GB RAM and 16GB, 32GB or 64GB storage.